Ages 10+. 3 - 6 players. Playing time: 45 minutes. 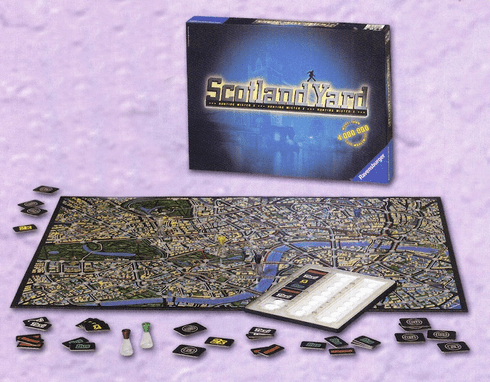 A player is Mr. X & the rest are detectives from Scotland Yard. Mr. X moves through London leaving a clue to his location. TRap him to win, but if he escapes, he wins!